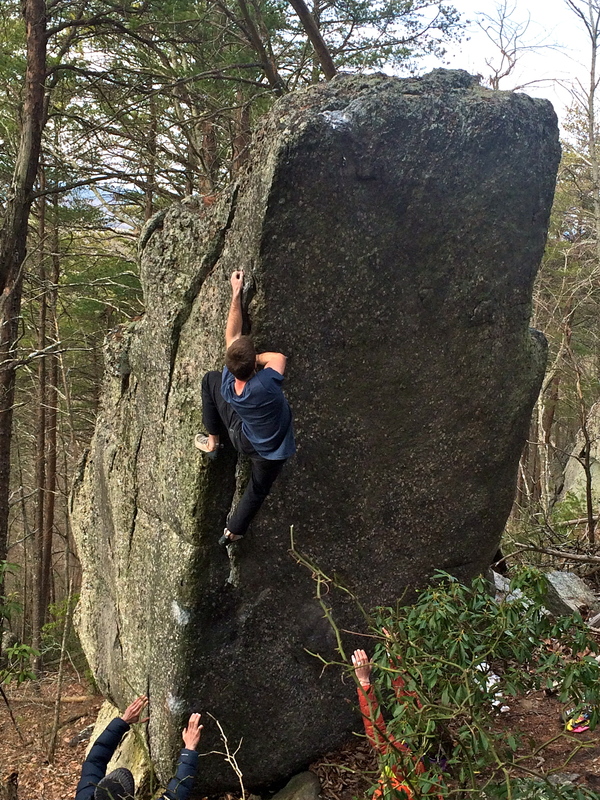 A quick taste of the recent bouldering during Locals Day at Hound Ears. More photos to come soon! 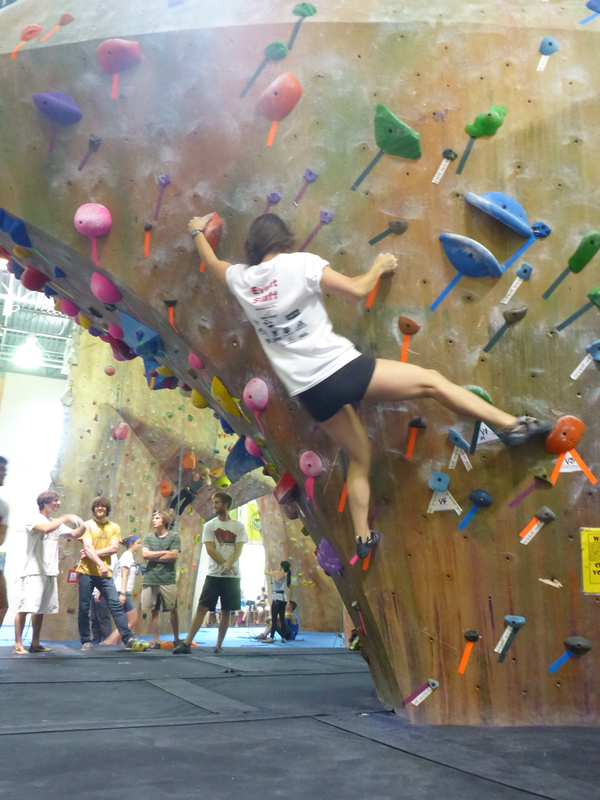 Last week we volunteered with Rocks for Research at the Inner Peaks Climbing Center in Charlotte, NC. The volunteering day started out by casually eating lunch right next to Jimmy Webb and Daniel Woods (yeah, no big deal…). Once we were assigned to a volunteering shift, we were free to explore the event and climb to our heart’s content (again, alongside folks like the above mentioned, and also Lisa Rands, Kai, Matt Bosley, Courtney Woods… maybe you’ve heard of them?). I pretended to take photos of Alexa climbing, but really I just wanted a shot of Drexel joking around with Nate, Jimmy and Daniel. Sneaky sneaky! Alexa, Rose and I were are scheduled to help belay in the “Try Climbing” area for first-timers. Most attendees of this event were experienced climbers, so we spent a good portion of our time improving our headstands, but there were a handful of kids who were really psyched on scaling the wall! I’m not usually a softie for these kinds of things, but I definitely felt my heart clench when one boy looked up at me with these big brown eyes and told me proudly that he had Type I diabetes and how excited he was to be at this event with his friends. On her way to greatness/straightness. Alexa got a good work-out from belaying one boy who inexhaustibly begged to climb “just one more time” over twenty times! Seriously. I guess kids don’t build up lactic acid(?) or something, because he was INSANELY PSYCHED. Alexa became pro at helping this boy into his harness 20+ times. At one point I brought this group of boys to the Evolv table, where Melise and Carter were super helpful sorting through their demo shoes to find pairs small enough for the boys to try on. I could tell the boys were really excited to wear “real climbing shoes” instead of the sneakers and crocs they had on. Finally came the moment we had all been waiting for: the Climbing Showcase. All the pro climbers and a group of local climbers (“Pros and Joes”) teamed up to see who could get the most points by completing the hardest climbs. It was so incredible to be able to see our climbing heroes working out boulder problems right in front of our eyes. It was interesting noticing that all these strong climbers had distinctly different methods and styles for sending a problem. Jimmy and Daniel are very different sizes, so Daniel was more dynamic and had to rely more on finger strength, while Jimmy had “more raw power than anyone I’ve ever seen” (says Drexel). 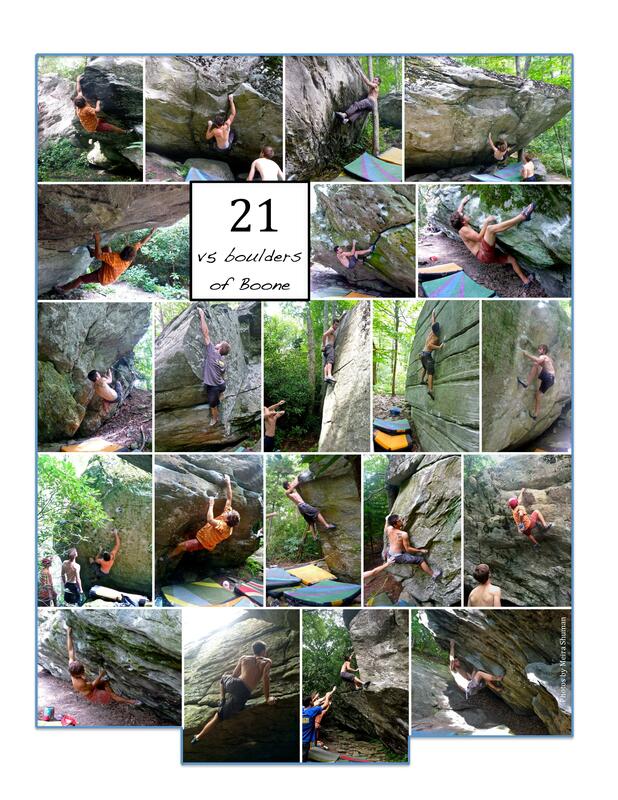 And I would have no idea that Kai, climbing alongside these guys and crushing a v10, was only 14 years old. Kai showing remarkable beta-savviness as he works a v11. When the climbing was over, there were some raffle prizes handed out, goodies were thrown into our awaiting hands (we all got some new Giddy chapsticks! ), silent auction winners were finalized, and then we all settled in to watch each of the pro climbers give a presentation that included some never-before-seen video footage and a short interview with a local radio personality (who had clearly never heard of rock climbing, but he got an A for effort). I especially loved the documentary about Kai’s life and the entertaining slideshow narration by Lisa Rands. Our day ended long after the sun had gone down. It was a full and wonderful day. We can’t wait to volunteer again next year and hope to see all of your beautiful shining faces!